For months leading up to A3C Festival & Conference, we sorted through over a thousand submissions from talented musicians from across the world. Then, we asked hip-hop fans to vote for their favorites. More than 25,000 of y'all got involved and the votes are in! Sonicbids is our exclusive artist submission partner. We ONLY accept artist submissions via Sonicbids. We do NOT accept unsolicited submissions. You must have an active Sonicbids account to submit your EPK for review. Past Sonicbids selections include: Young Thug, Trinidad James, Rhymefest, Ca$h Out, Que, Black Sheep, Tanya Morgan, CJ Fly of Pro Era, & Propaganda. 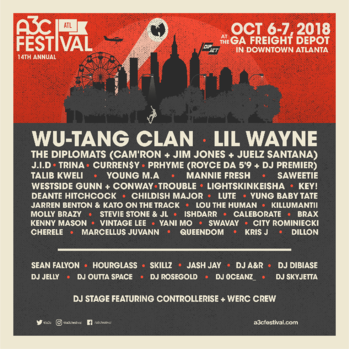 Want to perform at A3C? We're searching through Sonicbids for dope artists each week. If we like what we see we'll email you for the next steps. 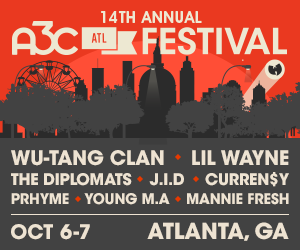 If you submit for A3C Festival & Conference, you're automatically be considered for ATL's Own and A3C Live, but you only need to submit once! More information on performing HERE.